Click the call icon on your smartphone and you’re connected in an instant. Then you hear the called person talking to you as though they were right there with you. Fast call setup and crystal-clear voice quality are two of the main subscriber benefits of Voice over LTE (VoLTE). As well as transforming the voice experience for subscribers, VoLTE brings numerous advantages for operators. It opens new business opportunities and helps improve the customer experience, while providing all services using a cost-effective single core. LTE offers twice the spectral efficiency of 3G/HSPA and more than six times the efficiency of GSM technology. This frees up more capacity for data, allowing VoLTE to handle twice as many calls, make best use of radio resources and cut costs. Lower frequency bands of 700 and 800 MHz, the so-called digital dividend bands freed up by regulators, can be used for VoLTE, while re-farming 2G and 3G spectrum also boosts spectral efficiency. Running data services on LTE and voice services on a separate 2G/3G network makes little sense in the long term. Putting the voice and data domains on the same LTE network makes better use of network resources, reduces network and service management and simplifies service delivery, all of which reduce costs. The Nokia 5G-ready cloud native core brings up to 50% savings in footprint, power and space requirements for lower CAPEX, while its automated operations reduce the risk of human error by up to 70% providing OPEX benefits. High Definition (HD) voice is the default with VoLTE, bringing subscribers improved quality that encourages them to talk longer and reduces the risk that they will churn. The low latency of LTE provides clear benefits for VoLTE, after all you can’t have buffering during a voice conversation. Much lower delay and high capacity also enable HD video quality for video calls. VoLTE can offer much more too. Because VoLTE and Rich Communications Service (RCS) are based on the same IP Multimedia subsystem (IMS), VoLTE supports RCS multimedia services. These include privacy, buddy lists, presence, video share, video call, multimedia messaging, chat, file transfer and many more. And the potential doesn’t end there. 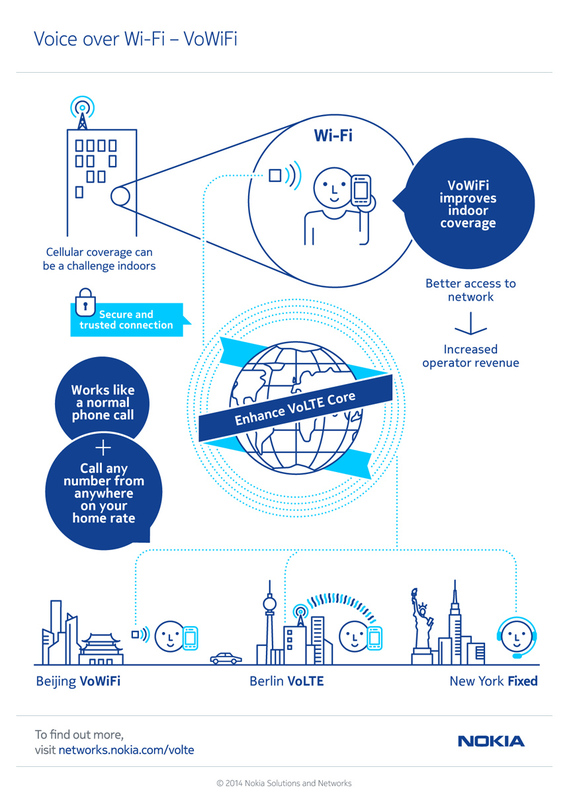 Nokia Call Management APIs enable VoLTE to evolve further, becoming a set of sellable and shareable features that can be embedded into any mobile application, web application or device. Call Management APIs make it easy for operators to introduce new services, cutting the time to bring them to market. Working with developer partners helps operators launch new services very quickly. VoLTE already offers operators and their subscribers a lot, but when it comes to services, it’s just the beginning of a journey to richer voice. Share your thoughts on this topic by joining the Twitter discussion with @nokia and @nokianetworks using #VoLTE #CustomerExperience or visit our webpage for more details.